Which Harborouch POS system is right for your business? 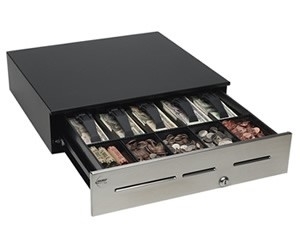 The Advantage® Cash Drawer with media slots comes standard with the patented LockIt® feature, a fully-integrated and secured cash drop compartment. This is a built-in Loss Prevention tool that will add an extra layer of protection at the POS station minimizing your cash losses. "The low prices and free shipping have always been amazing." 1910 St. Joe Center Rd. © 2014 yourPOSstuff.com. All Rights Reserved.